It’s no surprise that you love your car. The luxury style of a BMW plus the kind of performance out of your engine that makes driving from Highland Beach to Hillsmere Shores feel like you’re cruising the Autobahn. So how do you make sure it keeps running at this level for a long time? Routine maintenance, like an oil change, is essential to maintaining your car. 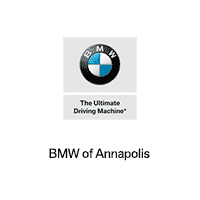 If you’re looking for an oil change near me, visit the service center at BMW of Annapolis. When machinery is at work, heat builds up. Over time, machines also begin to break down. Oil lubricates the parts of your engine to minimize friction and prevent them from breaking down and overheating. After a while though, the oil starts to break down. When it goes in, it’s a clear amber colored liquid that pours easily. Eventually, after a few thousand miles of work, it turns to a thick, dark sludge. When this happens, your engine can start to have problems. You might even be able to hear it running a lot louder than it normally does. That’s one sign that you need service. Maintenance schedules vary for every car, but when it comes to your oil, there’s a few universal guidelines you can go by. It all depends on if your car takes conventional or synthetic oil. Conventional oil usually needs to be changed every 3,000 to 5,000 miles, or every three months, whichever comes first. Most newer cars run on synthetic oil. Since it’s been engineered to hold up better to the natural breakdowns that occur in conventional, it lasts a lot longer. With synthetic oil you’re looking at a regular oil change every 6,000 to 7,500 miles, or every six months. If you’re not sure when you last change was, you can check at home. Just pop the hood and pull out the dipstick. There you’ll be able to see whether or not the oil has worn out and turned to sludge. Since every car is different, it’s recommended that you check your owner’s manual for the most accurate information on how often to get this routine maintenance. The experienced technicians in our service center can take care of all your service and maintenance needs, including changing your oil and replacing your oil filter. For your convenience, our waiting area has free Wi-Fi and a fully stocked complimentary café for you to enjoy while you wait. We also provide private workstations and a children’s play area. Routine maintenance can usually be done quickly, so you don’t have to sacrifice your entire day waiting for your car to be back up and running. With BMW FastService®, our service technicians will have your oil changed and your car ready to get back on the road in less than an hour. When it’s time for an oil change near me, you’ll be in good hands with the service technicians at BMW of Annapolis. Our expert knowledge with this routine maintenance will have you car driving like new around Hillsmere Shores and Highland Beach in no time. Give us a call to schedule your service appointment today!